High school seniors, current college students and adults returning to school will have the opportunity to apply for more than $300,000 in scholarship awards to assist with the cost of college and trade schools. The online application is available December 14, 2018. Now is the perfect time to complete the FAFSA form, create a list of your school and community activities and request letters of recommendation from teachers, club advisors, sports coaches, employers, and other non-family references who can speak to your character, ethics and suitability for your chosen major or career. Having these items ready to go will help you complete your application more quickly and most are needed for other scholarships and college applications you may be completing. Two local residents have joined the board of trustees of the Community Foundation of Shelby County. Janice Benanzer and David Monnier were recently appointed by Judge James Stevenson of the Shelby County Court of Common Pleas. Benanzer, a lifelong resident of the Ft. Loramie area, is president of Baumfolder Corporation in Sidney. A graduate of Ft. Loramie High School, the Upper Valley JVS (currently the Career Center) and Edison State Community College, she is a board member of Wilson Health, and a past board member of the Sidney/Shelby County Chamber of Commerce, Shelby County United Way, and UVJVS Advisory Board. She is a member of St. Michael’s Catholic Church. David Monnier is a native of Russia and a graduate of Russia High School and Bowling Green State University. He has retired from his career as a CPA for 42 years and a tax partner for 30 years at McCrate, DeLaet & Co. in Sidney. Monnier has served on the boards of Wilson Memorial Hospital (now Wilson Health), the Sidney-Shelby County Chamber of Commerce, Holy Angel Catholic Church, Peter’s Pense Religious Library and the Salvation Army. He has also volunteered with Holy Angels School, Lehman High School, Shelby County United Way and several youth sports leagues. He and his wife Ann reside in Sidney and are the parents of three grown children. 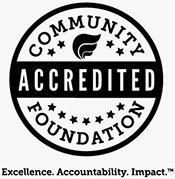 The Community Foundation of Shelby County administers more than 175 charitable funds including scholarships, donor advised funds and funds supporting local organizations, projects and causes.